If I’d ask you to picture Milan, the first image that’ll most likely pop into your mind is the Milan Cathedral or Duomo di Milano. 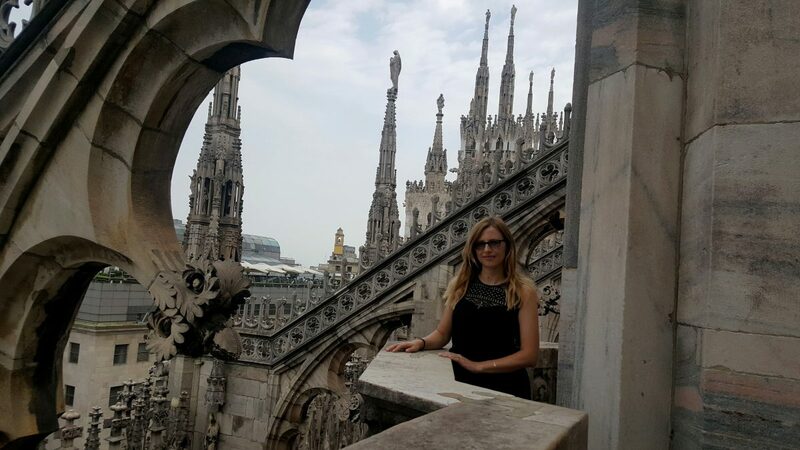 Besides being an iconic building, the Milan Cathedral’s history and the artifacts it houses are completely fascinating. For example, one of the nails of Jesus’s crucifixion is housed inside the church. If you’re a regular reader of my blog, then you’ll know I have a thing for Gothic architecture. Yep, I go crazy for rib vaults, pointed Gothic arches and stained glass windows. 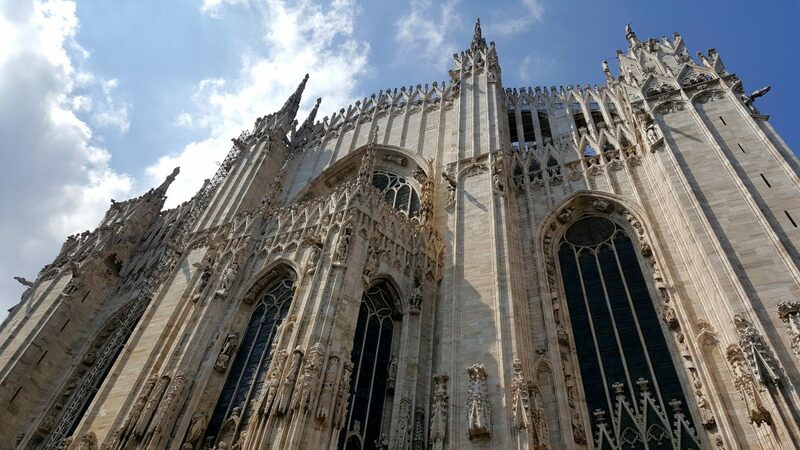 Now admittedly the Milan Cathedral is a mixture of several building styles, but when construction started back in the 14th century, the initial design was in the Gothic style. 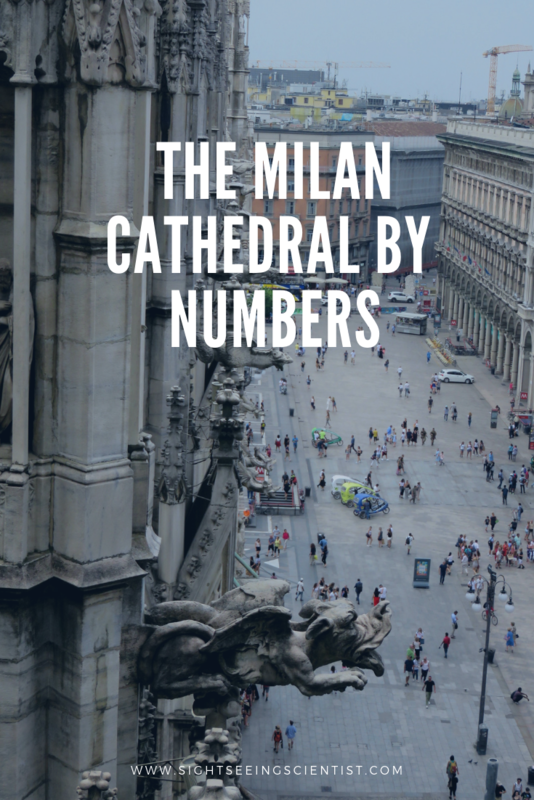 Here are some interesting facts about the Milan Cathedral ordered by numbers. The beautiful Milan Cathedral is the largest church in Italy. But what about St. Peter’s Basilica in Rome? Well, technically it’s located in the Vatican which is a whole different country from Italy. Hence, the Milan Cathedral holds the title of the largest church in Italy. 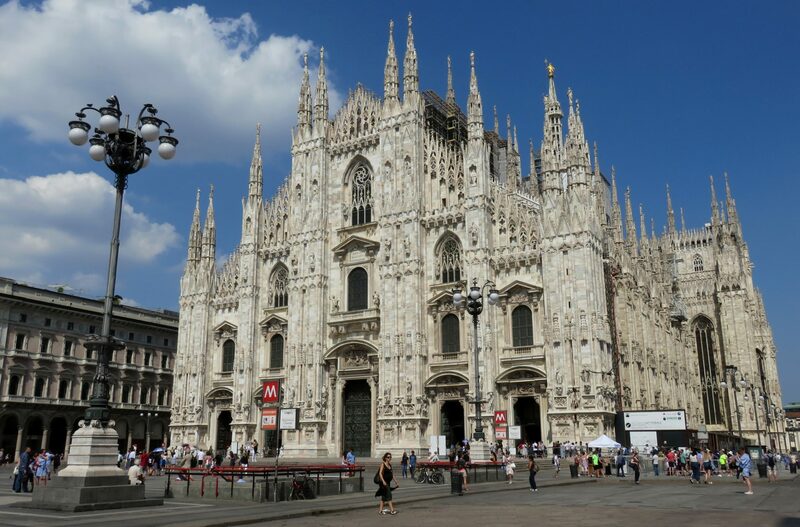 The Milan Cathedral is also the 4th largest church in the world (using m² as the measurement). The Duomo takes up one whole city block. At 11700 m², it’s in 4th place behind St. Peter’s Basilica in the Vatican, the Basilica of the National Shrine of Our Lady of Aparecida in Brazil, and the Seville Cathedral in Spain. At the highest point, the cathedral stands at just over 108 m. Decorating the uppermost spire of the church is the Madonnina, a large golden statue of the Virgin Mary. 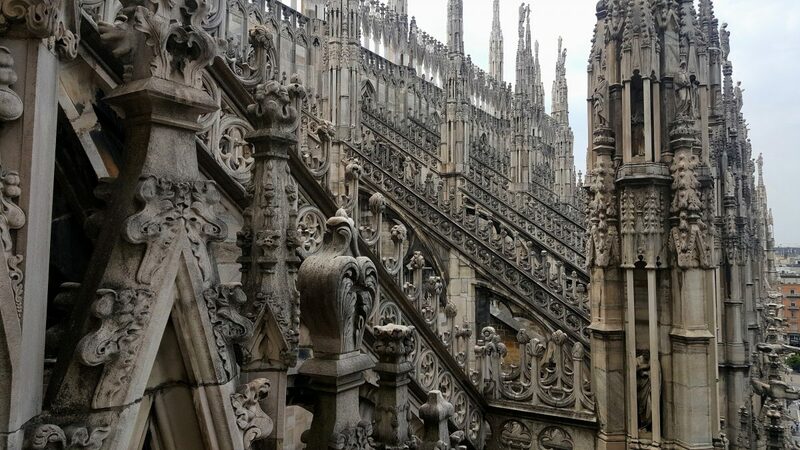 It took nearly 600 years to finish construction of the Milan Cathedral. Over the course of six centuries, more than 70 architects have worked on the church. Construction started in 1386 and the cathedral as you see it today was only completed in 1965. 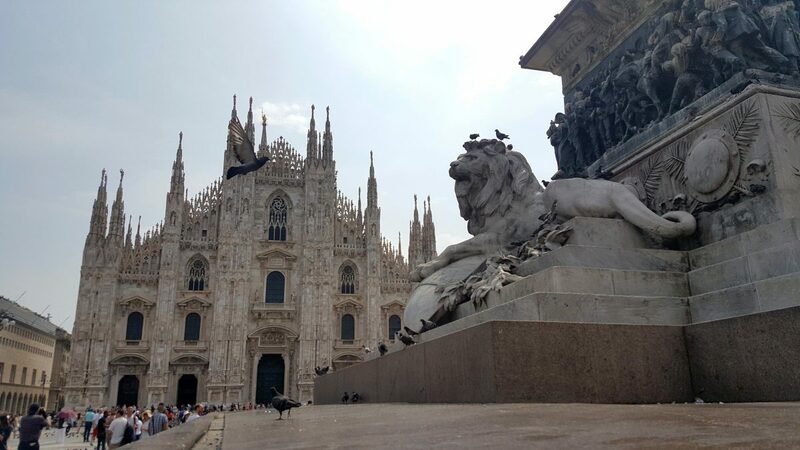 The Milan Cathedral boasts 3400 statues plus 700 marble figures, 135 spires and pinnacles, and 135 gargoyles (people disagree on the exact number). 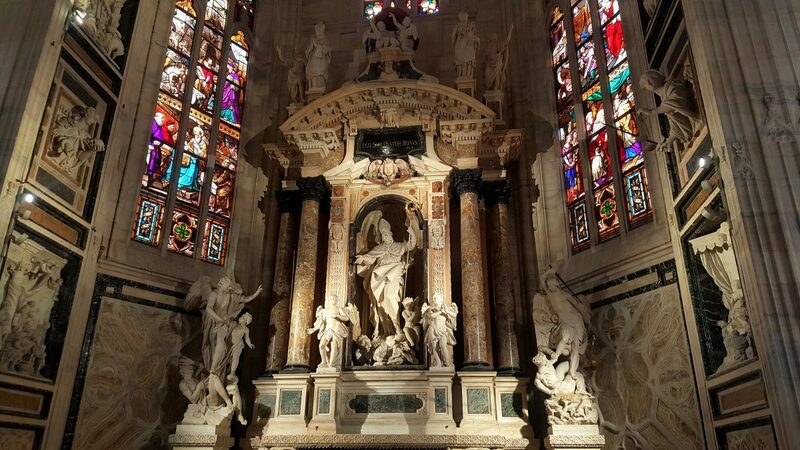 The Duomo has more statues than any other building in the world. The statues are mostly religious figures depicting Bible stories and the history of the church. The most famous and striking statue is called ‘St. Bartholomew flayed’. It shows the apostle with a piece of his own flayed skin thrown over his shoulders. This is also the method of how he died: he was skinned alive. The number of people that can comfortably fit into the Milan Cathedral. 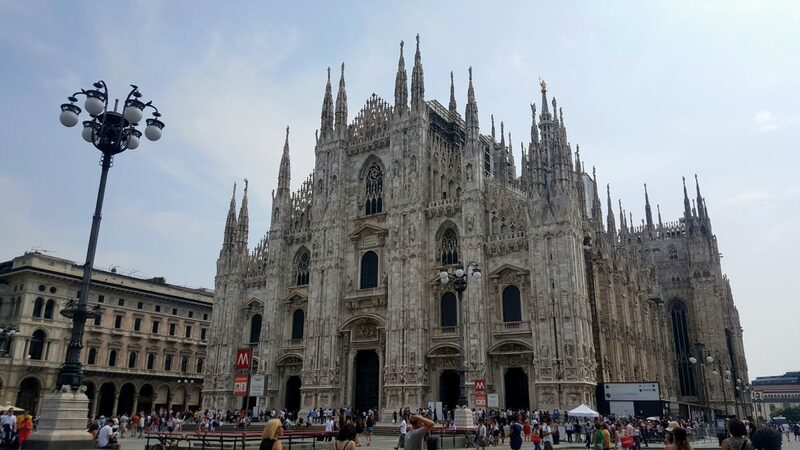 Hopefully, you learned something interesting about the Milan Cathedral. But most importantly, I hope you retain the information to make your next visit to the Duomo more engaging. Facts are easier to remember when you attach numbers to them. Nerd out.